Often times, a digital assistant must execute on logic that can’t be written in the YAML or in a Q&A and should therefore use a custom component. 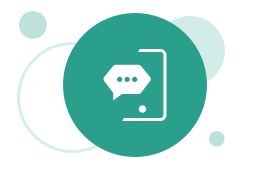 Some use cases for a custom component might be: sending an email to the user or bot administrator, making an API call with user input, or connecting to an external data source to return user’s information. As a general rule, custom components should be used any time the assistant is dealing with dynamic information and logic, or for specific actions that are outside the built-in program’s abilities. In this example we’ll walk through using an embedded container. The simplest way to deploy a custom component is via an embedded container. *Note the service toggle is on and the you can see .tgz file is in fact uploaded as a package file. Once the embedded container is uploaded all you need to do is configure the bot to call the custom component with a new or existing intent. 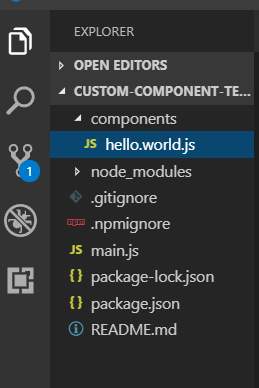 In this case I’ll create a new intent in the PizzaBot and set a state to call the hello.world component I just uploaded. 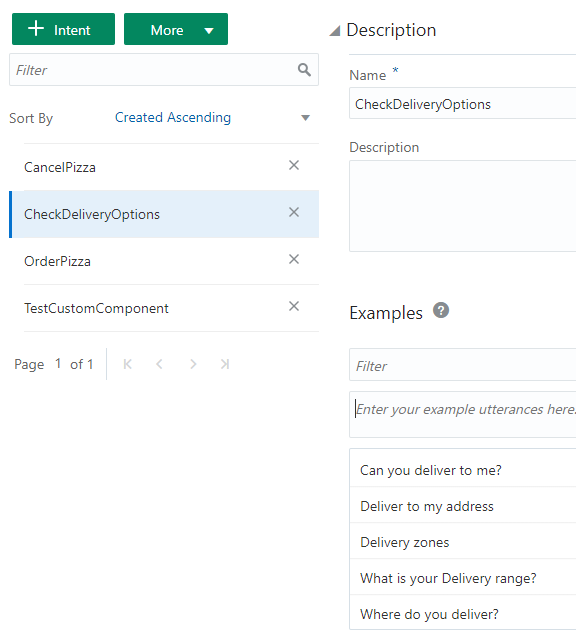 Now let’s use the same principles to create new component file with our own custom logic that will check if we can deliver pizza depending on a person’s entered address. So now hopefully you can see instead of just saying todays date like in hello.world, the new component looks for the user’s entered address to see if they live in Minneapolis. It does so by establishing a userInput variable which is set to userAddress. In the next steps I’ll declare the userAddress variable in the yaml. Now run npm pack and upload the newly created tgz file to the pizza bot. You’ll see the new component file listed under our previous hello.world (you might need to refresh the browser). 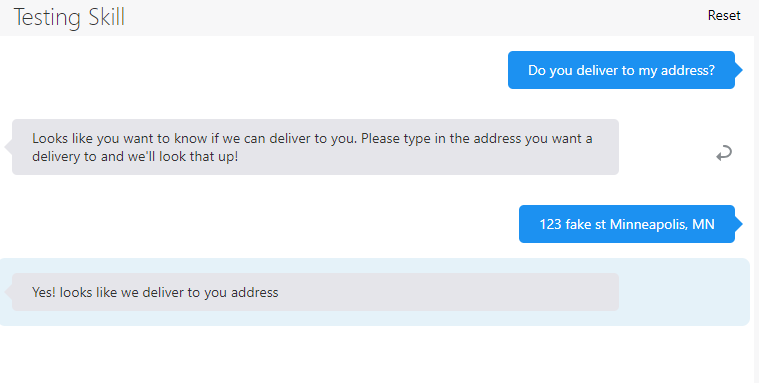 Now that the component is uploaded in the embedded container, let’s modify the assistant so users can ask about pizza delivery locations. Congratulations! You just created a custom component and uploaded it to an embedded container. A couple of notes. Our component is only using a regular expression to see if a user is typing ‘Minneapolis’. In practice you’d want to use a more sophisticated approach to determine their location such as geolocation, but all of that logic can live in the component file you just created. Also, you’ll want to define states to get out of the logic of the custom component and notify the user the conversation is over. Now you know how embedded containers work and can add any custom logic you want to your assistants.